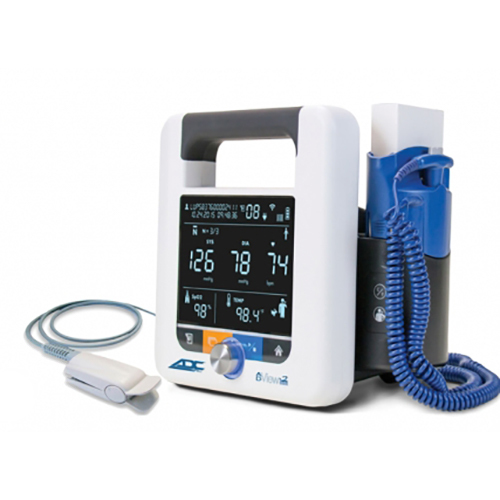 The ADView® 2 Diagnostic Station starts with a blood pressure base unit and has optional modules and accessories that allow you to customize a diagnostic solution perfectly suited to fit your needs. 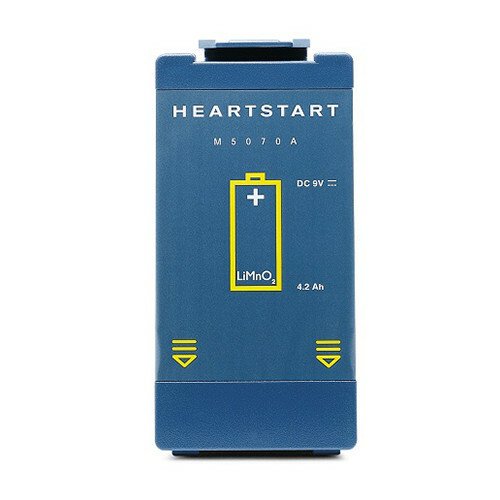 This Replacement Battery is intended for use with the Philips HeartStart Onsite Home FRx AED Defibrillator. The rugged five-leg ADView™ 2 Diagnostic Station Mobile Stand allows you to move the instrument from room to room for optimum work flow. 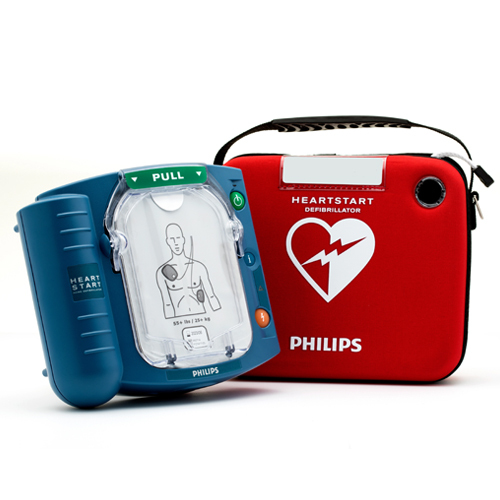 This Adult SMART Pads Cartridge for the Philips OnSite AED contains pads appropriate for use on cardiac arrest victims weighing 55 pounds or more. 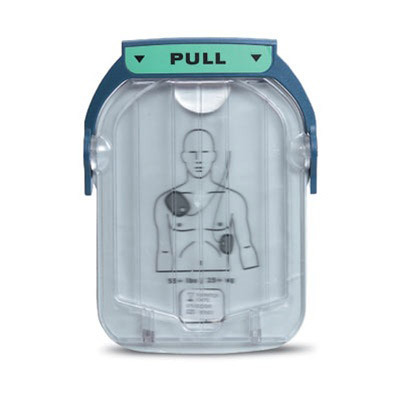 The LIFESAVER® CPR Board is anatomically contoured to position the resident for effective application of CPR. 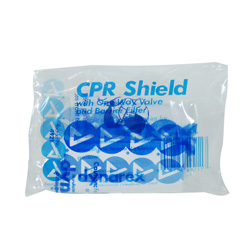 This Lightweight Face Shield prevents mouth to mouth contact during CPR. 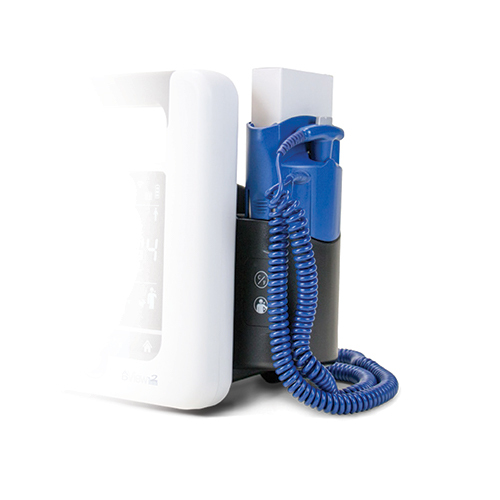 It features a one way valve eliminates blow back to the caregiver. 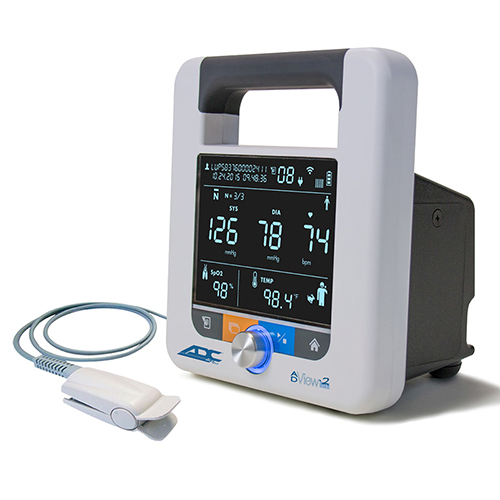 The Filac™ 3000 Thermometery Module for the ADView2 provides oral or axillary temperature readings in as little as 3-6 seconds.